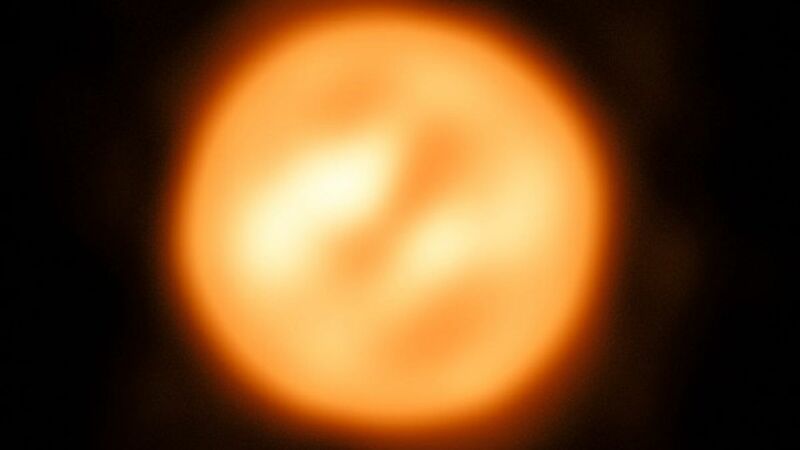 Scientists at the European Southern Observatory have captured the most detailed image of a star other than the Sun by mapping the motions of the surface of the red supergiant Antares — 550 lightyears from Earth. How they did it: The ESO used its Very Large Telescope Interferometer in Chile, which combines light from four different telescopes to create a virtual telescope more than 650 feet across. What they were looking for: Scientists wanted to figure out why Antares is losing mass during the final stages of its life as it approaches supernova, discovering in the process that Antares is likely undergoing a previously unknown type of stellar energy transfer. Why it matters: From Keiichi Ohnaka, the head of the team: "In the future, this observing technique can be applied to different types of stars to study their surfaces and atmospheres in unprecedented detail…Our work brings stellar astrophysics to a new dimension and opens an entirely new window to observe stars."